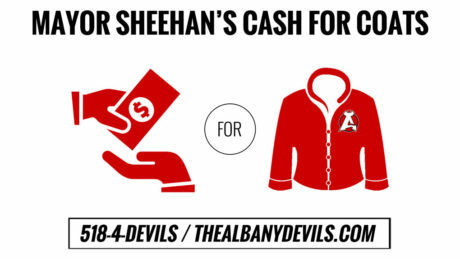 The Devils have teamed with Albany Mayor Kathy Sheehan once again for the “Cash for Coats” drive, which will launch during the Devils’ Home Opener on Saturday. © 2015 Copyright by the Albany Devils. All rights reserved.